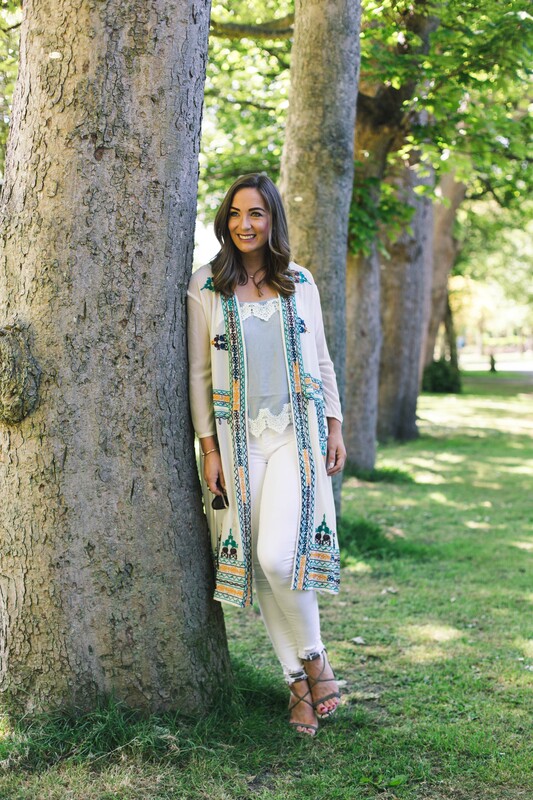 I am so delighted to have once again teamed up with Littlewoods Ireland for this blog post. 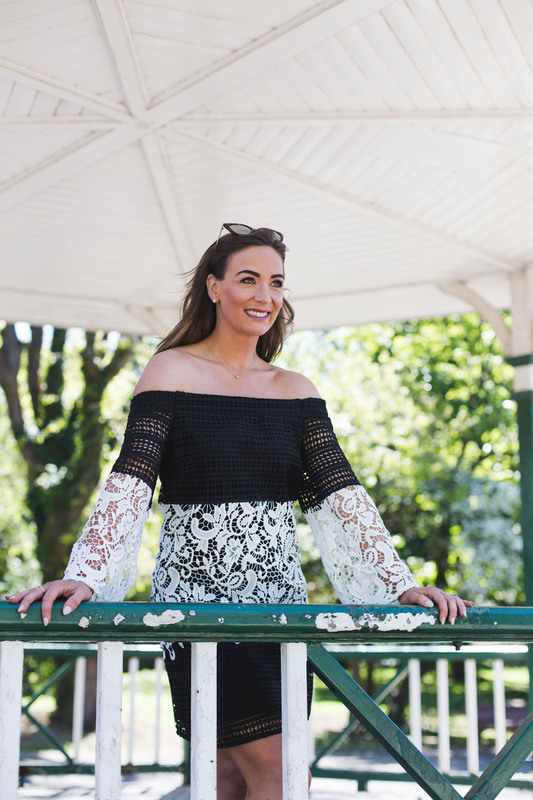 I had so much fun shooting these two looks with the lovely photographer Bríd O’Donovan in Herbert Park last week. Both looks I wore are all from the brand new summer collections from River Island, available on Littlewoods Ireland. What is brilliant about shopping at Littlewoods Ireland is that all of your favourite high street brands are available under one roof – It makes online shopping so much easier. As well as River Island, Littlewoods Ireland also stock Ted Baker, Oasis, Miss Selfridge and Warhouse, to name just a small selection! My first outfit is a really classic monochrome look; ideal for a summer occasion, or even a special night out. 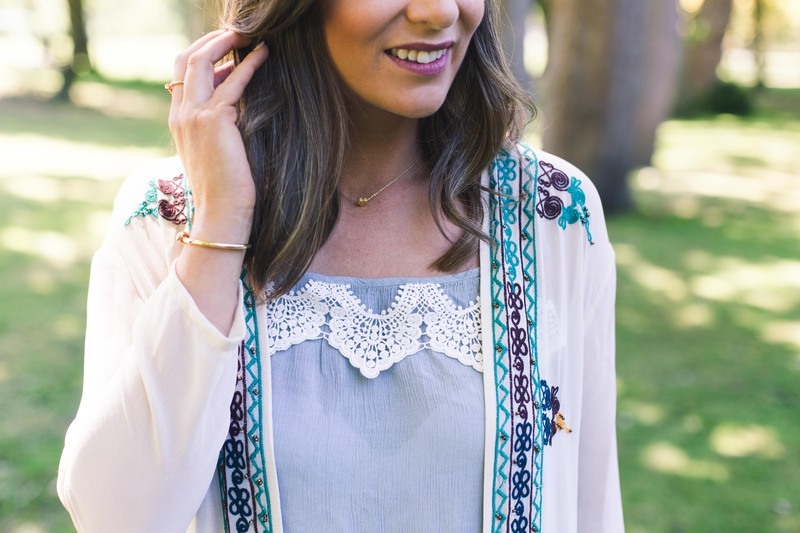 I absolutely adore the crochet detail on this and I am obsessed with these sleeves – Perfect if you are a little bit conscious of your arms too. See the dress in more detail here. 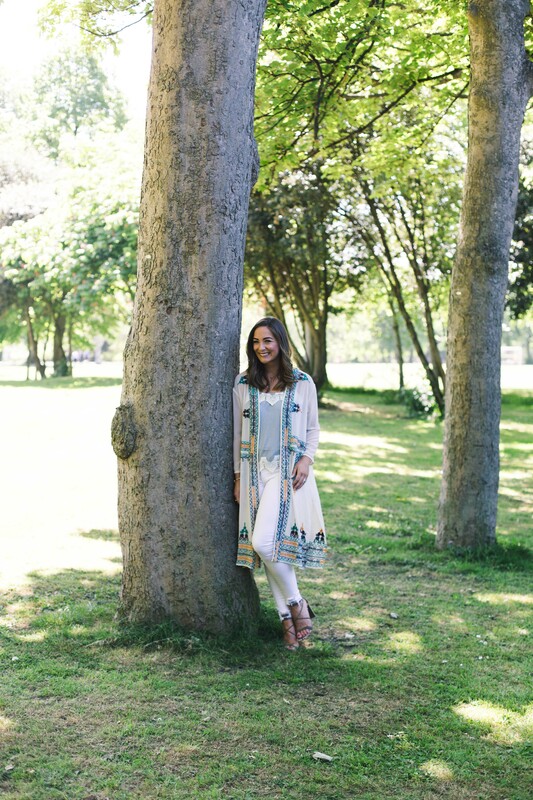 The second look from Littlewoods Ireland is also all from the new summer collections by River Island, a much more laid back, yet stylish look and gorgeous for the summer. 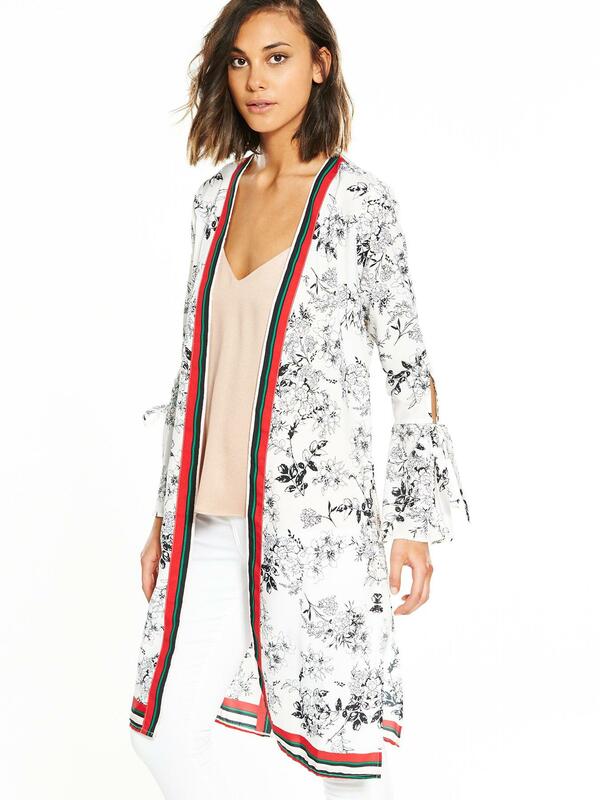 I styled them with this longline embroidered kimono which I LOVE!! 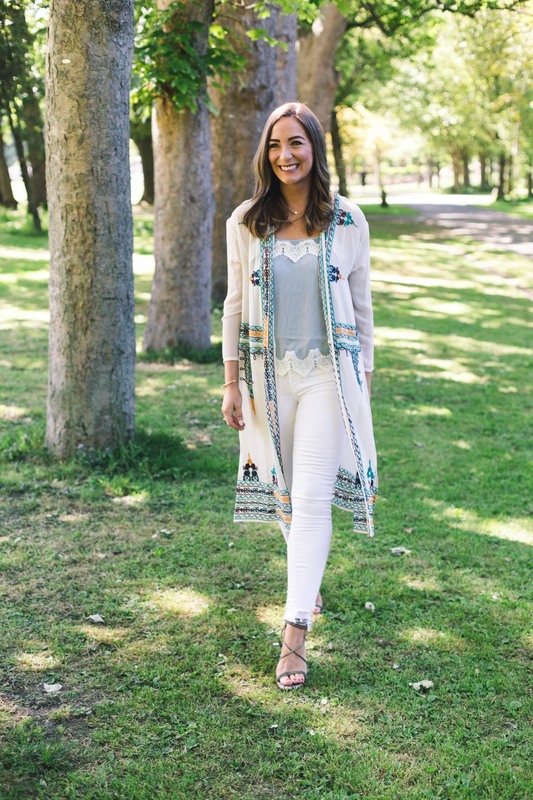 I can see me getting so much wear out of this over the summer months – it’s perfect with jeans, and I adore the longer length, especially with white skinnies!! See the kimono in more detail here. 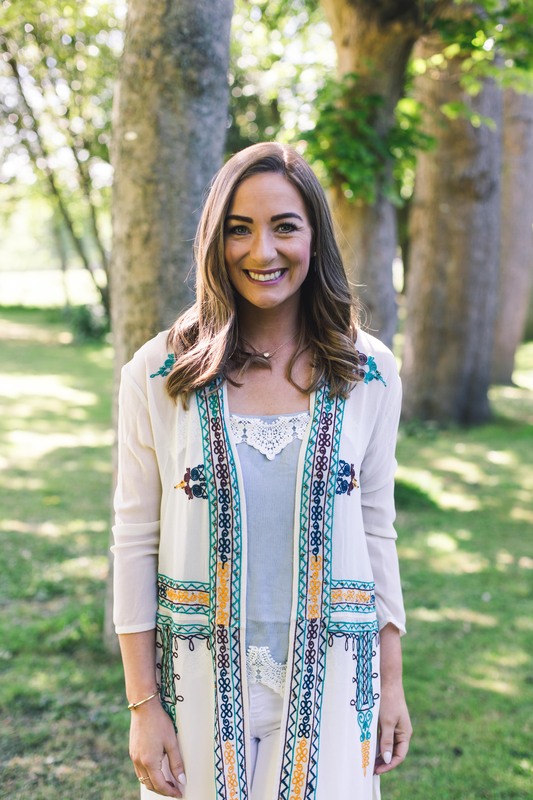 I opted for this simple cami top underneath (see here) but you could style so many different colour tops or cami’s under this kimono (even something as simple as this top would be stunning under it). Last, but oh my, certainly not least, these khaki sandals are life!!! Absolutely gorgeous colour and would go with so much for the summer, check these beauties out here. These purple wide leg trousers are so fab and bang on trend for summer, wear with a simple cream or white cami top or t-shirt and strap sandals – Divine! They would also be really nice for holidays worn with flat sandals. This yellow blazer is so me – Perfect staple piece for your summer wardrobe, wear with skinny jeans and a simple t-shirt for a chic day time look, or wear draped over your shoulders with a dress for a stylish and sophisticated evening look. Yellow is the colour of the season! 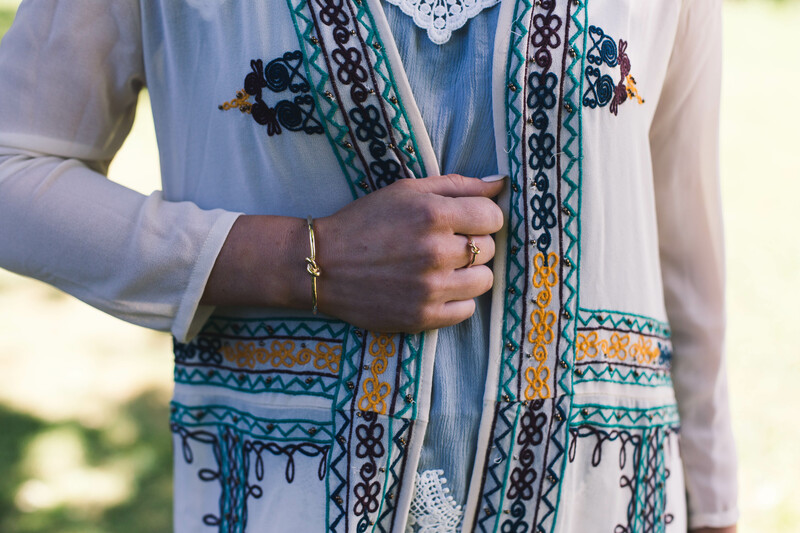 This printed kimono is another gorgeous piece for the summer months – I love how it is styled in this picture. Holiday coming up? This playsuit needs to be on your wishlist! The long kimono sleeves are so fab and the colour combination is stunning. Style with flat gladiator sandals and a trilby for a chic day time look (ideal for a festival!) or glam it up by wearing with high strappy sandals and a biker jacket – Gorgeous! 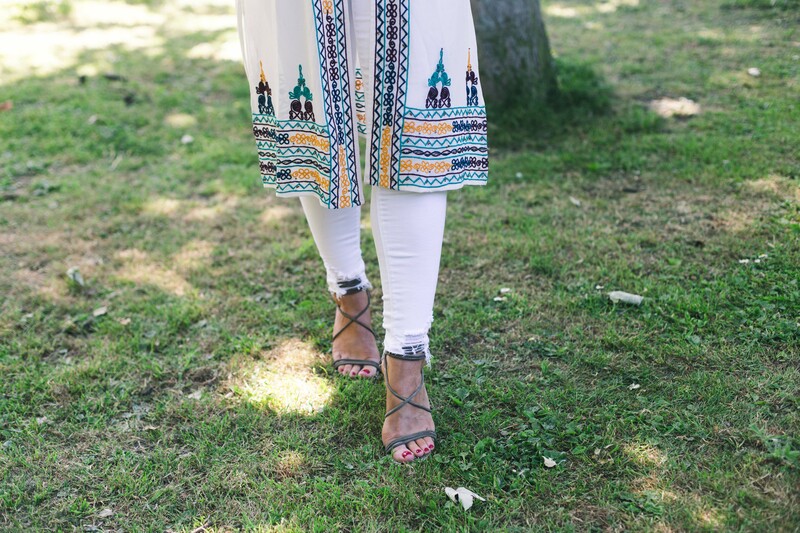 I have these trousers myself and just love them, they make a chic alternative to jeans for the summer, plus they are super comfy and look equally great styled with loafers or dressed up with block heels. Wear with fine knit jumper or a simple t-shirt top for a laid back, on trend look. 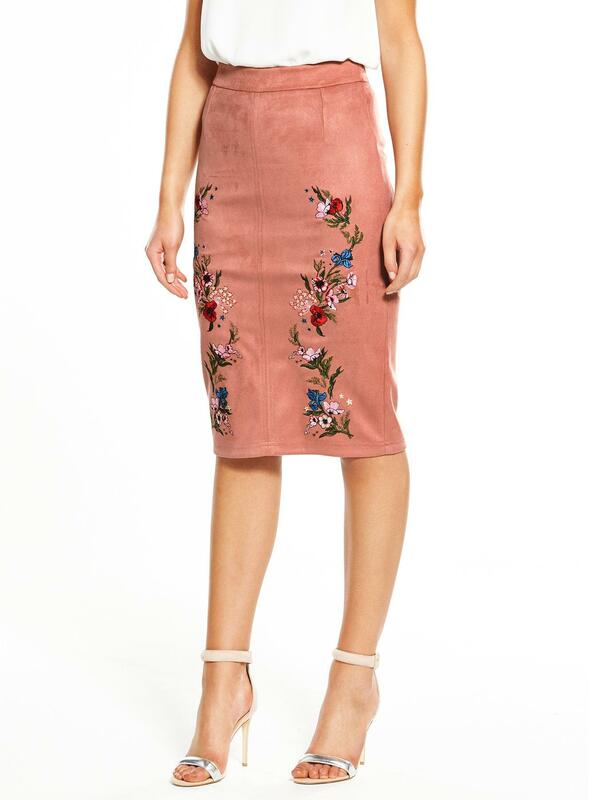 I adore this embroidered suedette pencil skirt. Fab for a night out over or summer, or it would be gorgeous glamed up for an occasion. Style with a plain, block coloured cami top. Looking for the ultimate jeans? Look no further than my all time favourites, Molly jeans from River Island, this light blue wash is dreamy for the summer. They are super comfy, verrrrrry flattering and high waisted – What’s not to love? This coral colour is fab for summer and would look great styled with the molly jeans (above) OR worn with the white jeans I wore for this photoshoot.